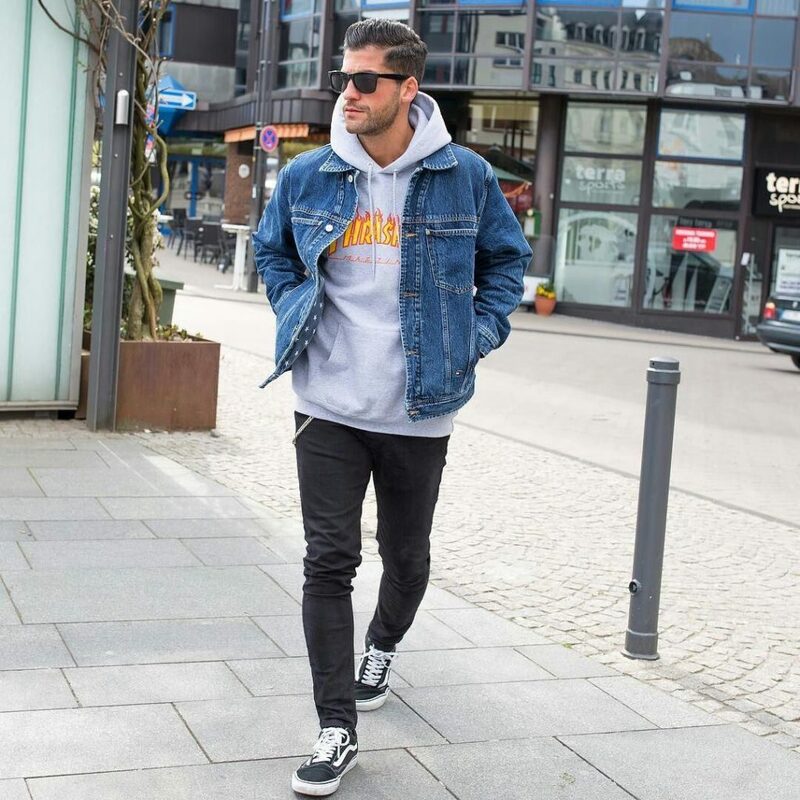 Streetwear clothing isn’t just about buying the latest designer to make the look work, streetwear is a relaxed style with a smart edge to it, joggers in a tapered fit, plain hoodies with distinctive logos and mens printed t shirts can all be bought at low prices and fashioned into streetwear style. A full fitted tracksuit with an oversized t-shirt is a streetwear staple that isn’t going out of trend any time soon. Simple, comfortable and iconic it’s a look you can repeatedly wear and not get bored of. This can potentially be a win/win for anyone with their own take on streetwear clothing, you can either simple match up the colours you want to wear to get the traditional streetwear look. Or if you’re going to get on board with the current trends with paying the prices, wearing contrasting colours with a block effect makes for the contemporary streetwear vibe seen at fashion shows and on the high street. Wearing contrasting colours that wouldn’t usually match, or offset prints/ patterns is a significant street, and if you work it just right, it will even work with the unbranded garments. There aren’t many rules when it comes to footwear and streetwear, buying a branded pair of trainers doesn’t have to be expensive, just making sure they’re stylish enough to match up with your look is key. Usually though, people are a little bit more open to spending money on trainers, as there’s more substance to them and they tend to outlast on-trend outfits. Confidence is vital with streetwear if you want an edgy look without the price tag than wearing the chosen outfit with confidence will be sure to catch people’s eyes, and you’re perceived differently in comparison to an outfit you’re unsure about. Wear what you think is right and do it with your own spin on the style.